A teenager receives life-saving heart surgery and then later trusts Christ as Lord and Savior. Now she shares her story with others who are facing seemingly hopeless situations. Sheena was 10 years old when she began to notice changes in her body. She had learned about adolescence at school, so she attributed her shortness of breath and chest pains to that. For a long time, she didn’t tell anyone how she felt. Eventually, her heart was beating so fast that the pain in her chest began increasing. She went to her Aunt Lillian, whom she was living with at the time, and told her that she didn’t feel well and that she could feel her heart in her head. Although Sheena tried not to worry about the pain, she didn’t get better. Lillian gave her some herbal medicine, but it did nothing. One day, Sheena visited Lillian at the hospital where she worked. When she saw a doctor, she asked if she would listen to her heart with a stethoscope. 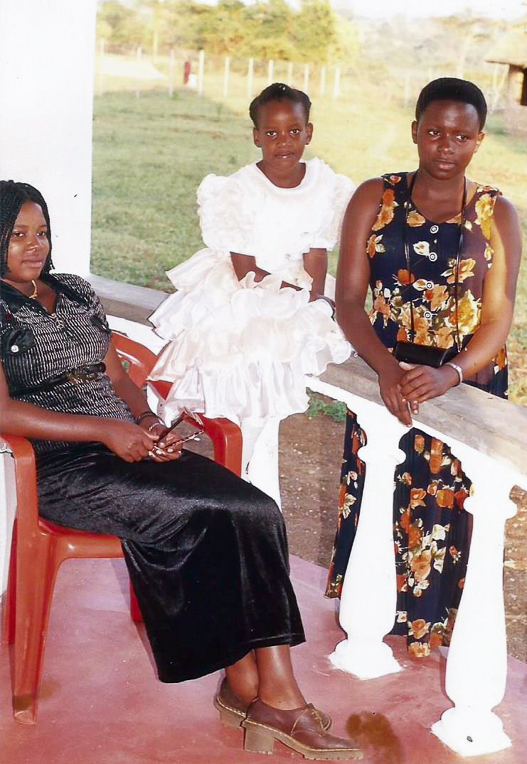 The doctor told Lillian to take Sheena to Mulago National Hospital where she could receive further testing. There, the doctors diagnosed Sheena with a congenital heart defect. “My auntie cried that she did not listen to what I was saying,” Sheena said. From that moment, Sheena felt sicker and sicker. Her heart pounded harder, and she would wake up fatigued. Because of her condition, she was in and out of school. She couldn’t hang out with her friends; she had to watch them from her window. She felt left out and alone, and her circumstances made her start to lose hope. Sheena’s mother lived in a village with her younger brothers. Sheena had moved to the city to live with her aunt to receive a better education. When her mother found out about the diagnosis, she saved money to visit more often. But, eventually, she always had to return home to make more money to buy Sheena’s medications. Her mother did odd jobs, like selling clothes in the marketplace, to support her daughter. The surgery that Sheena needed wasn’t readily available in Uganda, and it was risky because of the lack of medical equipment. In desperation, her aunt and mother took her to herbalists, witch doctors, and Muslim imams for healing. None of them worked. When Sheena was 13 years old, there was a screening at the hospital. She went to it, not fully understanding how it could change her life. 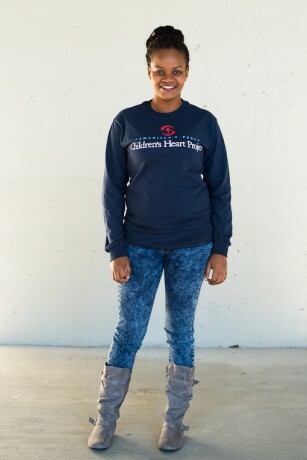 There, doctors determined that she was a good match for the Children’s Heart Project and passed along her name. A project of Samaritan’s Purse, the program brings children from around the world to North America to receive life-saving heart surgeries. The project put her on a waiting list and passed her file to doctors in the U.S. Soon, she was chosen. Sheena’s family also considered themselves Christians. They attended church, but they didn’t have a relationship with Christ. 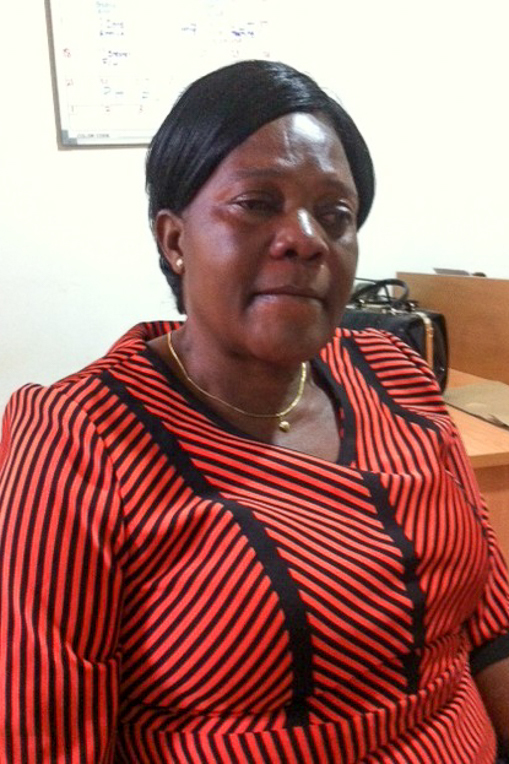 In Uganda, Sheena said, people mostly kept to themselves and didn’t concern themselves with other people’s problems. So she was surprised that the office was willing to help her for no other reason. She was scared and said she didn’t know whether she would survive, but she wanted to try. She and her mother flew to Washington, D.C., where Sheena received the surgery she needed. But that wasn’t what made the biggest impact on her life. Although she was healed, she still held a lot of doubt and insecurity in her heart. But her host church in Washington began to show her a different path. Sheena traveled to the U.S. with another child in need of heart surgery, 6-year-old Faizal. This photo of the two of them together is from 2012, eight years after their surgery. Sheena returned home with a healed heart. But she faced more difficulties. 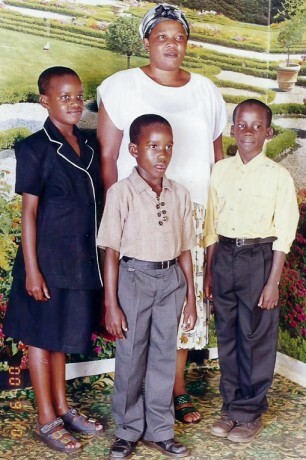 Her mother could no longer provide enough money for her school fees, so she asked her father. Their family was polygamous, and he didn’t live with Sheena’s mother. He said he would pay for her to go to school only if she moved in with him and his wife. She reluctantly agreed. Her mother returned home to her village, found a new church, and began attending regularly. It was a place where she could see God at work, and she quickly gave her life to Christ. Sheena did not find a church to help her understand the Gospel. Throughout her teenage years, Sheena still wondered if she was OK. She wondered whether her heart had really been fixed, and she had lots of questions, such as whether she would one day be able to have children. But she didn’t have anyone to talk to in her new home, so she stayed quiet. While she was at school, she felt so overwhelmed by relationships with her friends and family and worry about the future that she swallowed pills in an attempt to take her life. She survived, but she still wanted to escape. 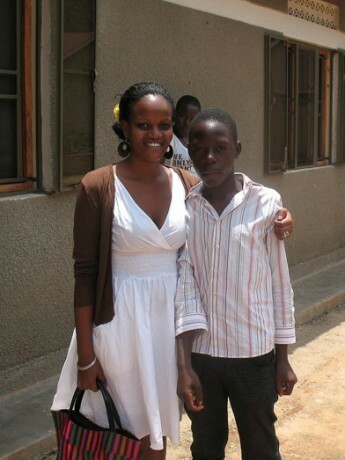 Sheena, now grown, is the project officer for Children’s Heart Project in Uganda. When Sheena was 21, she had the opportunity to attend Heart Camp in Uganda, an event for former Children’s Heart Project patients to come together for a week of fellowship and discipleship. Before she left, she prayed that her life would change. God heard Sheena’s prayer of desperation. Sheena turned from her own strength and gave her life to Christ while at camp. There, she learned how to pray, met a mentor, and received a devotion book. When she returned home, she finally connected to a church that helped her grow spiritually and began attending regularly. She forgave her father for not caring about her when she was sick, and his wife noticed the difference in her life. She found friendships with the other young women at the camp, and they began meeting for Bible study. At the next Heart Camp, Sheena began serving in the camp as a volunteer. She became a mentor to the younger girls and felt like she had found her calling. She had finished school, was living on her own, and had taken a job at a hospital in customer care. However, she didn’t feel fulfilled, she said, because she wanted more freedom to share about what God had done for her. When Samaritan’s Purse contacted her about a job opportunity with Children’s Heart Project in the Uganda office, she knew she would be a good fit. She understands what the families are going through and can encourage them and pray for them. She also knows that many mothers have the same story as her own mother—they’re going through it alone. “I just pray with [the mothers] and tell them we are not only going to offer medical services; we are also going to be friends,” she said. While the children are in North America receiving surgery, Sheena makes time to pray for them. She takes time off of work and goes to a mountain special to her and spends time dedicating each child to the Lord in prayer. She said that mothers call her at all hours, but she doesn’t mind. She’s happy to let them know someone cares and can relate to them. Update from February 14, 2017: Sheena is now working with Samaritan’s Purse at the international headquarters in the United States. She shares her story with potential church partners and host families to encourage people to participate in the project. Click here to read about Sheena’s recent experience interpreting for a Children’s Heart Project group.